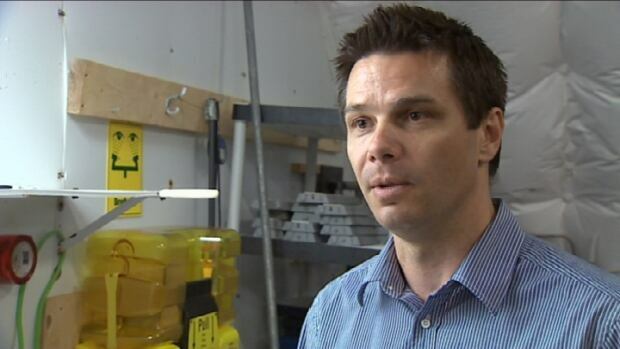 A Nova Scotia company that's spent eight years developing a system to farm fish in large tanks on land says it's finally ready to bring its locally-raised Atlantic salmon to market. "Next week we begin to sell our first Atlantic salmon to the market, and that really marks the start of continuous production," said Kirk Havercroft, CEO of Sustainable Fish Farming. Some of the places that will carry Sustainable Blue salmon include Le Caveau Restaurant in Wolfville, Pete's Frootique in Bedford and Halifax, and Evan's Fresh Seafoods at Alderney Landing in Dartmouth. "It feels like finally, all of that effort is being rewarded," Havercroft said. "We were determined to get there. So this is a really exciting time," Havercroft says. "It feels extremely rewarding now to see our product finally go to market." "It went over very well," says Craig Flinn, the head chef and owner of Chives. "One thing I like about it, is the fish at the size they currently are, they're leaner and the flesh is quite firm and has a good colour." "In my opinion, it's a fish that has a lot of the qualities of a wild salmon — smaller fillets, leaner fish, but still has that sustainable stamp on it which makes it very appealing to our market." Flinn estimates the cost per pound was roughly 10 to 15 per cent higher than other salmon on the market, but said the fish are still good value. He says he'll continue to serve the salmon as it enters the market. "There's a little bit more cost associated with it, but the quality is very high and it's very enjoyable," he said. Havercroft says next year the company plans to build another 500-tonne production unit on land it owns beside the existing facility. 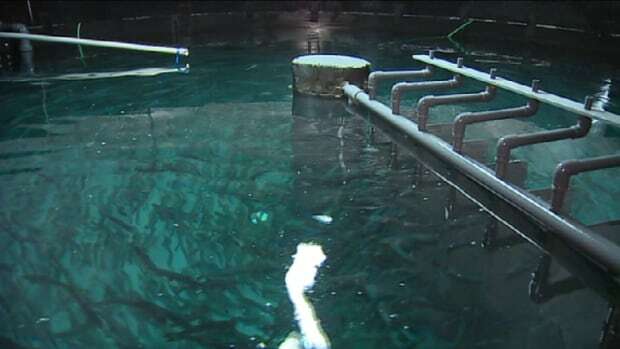 Sustainable Fish Farming intends to license the new unit to another farm. It will use the same technology developed by Havercroft's company.